26 December 2016, at 6:00a.m. Chickens may seem like simple birds, but for people who spend time raising them, this couldn’t be further from the truth. Here at The Poultry Site, we’ve compiled a list of what we think are the most interesting facts about the humble chicken. Which one’s your favourite? The domesticated chicken (Gallus domesticus) is thought to be a subspecies of the red junglefowl, a member of the pheasant family that’s native to Asia. 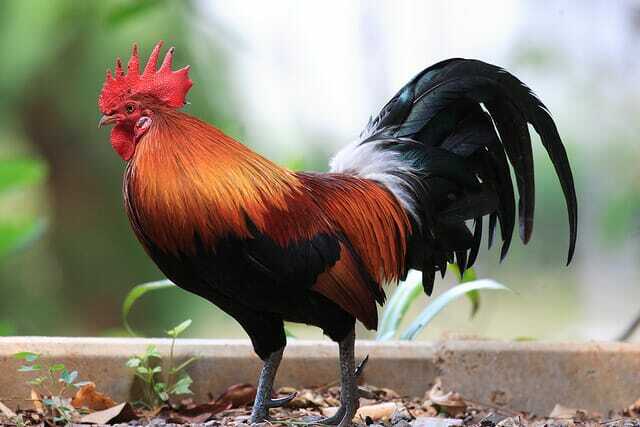 Genetic studies have also found that the grey junglefowl contributed to the chicken’s evolution. More surprisingly, a comparison of the chemical structure of preserved proteins found in the soft tissue of a Tyrannosaurus rex’s leg bone showed an evolutionary link between T. rex and the domesticated chicken. This gives more credence to the theory that birds evolved from dinosaurs. Like other mothers in the animal kingdom, female chickens (aka hens) are very protective of their young. But research conducted at the University of Bristol’s Animal Welfare and Behaviour Research Group, has revealed that domesticated hens show clear physiological and behavioural responses when their chicks are even mildly distressed. 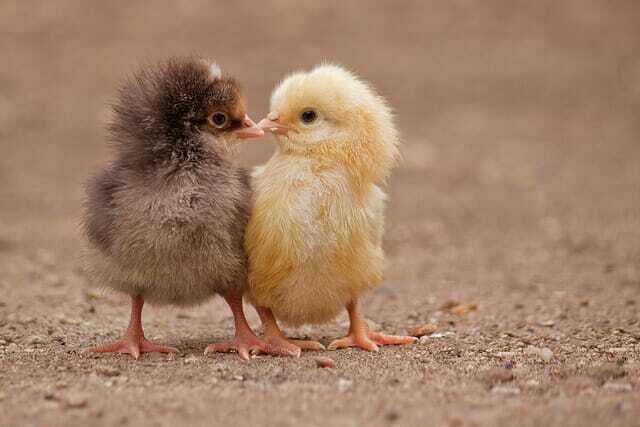 During the experiment, when their chicks were exposed to a mild puff of air, the mother hens’ heart rates increased, and the temperature of their eyes decreased. They also changed their behaviour, becoming instantly more alert and intensifying their vocalisations to their chicks. These responses indicate an emotional response in animals, demonstrating that adult female chickens are able to show at least one of the essential attributes for empathy – they are affected by, and can understand, the emotional state of another. Chickens are able to perform complex communications within their flocks, with a series of distinct vocalisations that all have different meanings. Thirty different calls have been identified so far, ranging from calling to their young, to alarm calls and alerting each other to the whereabouts of food. Chickens also have different alarm calls for specific types of predators, which allows other members of their flock to anticipate the threat they face, and decide which mode of anti-predation behaviour to adopt. Even more surprising, is that chicken families begin communicating with each other even before the chicks have hatched. Mother hens “talk” to their eggs, often with a purring sound, and the chicks are able to “peep” back from inside their unhatched shells. Like other birds and mammals, chickens have an REM, or “rapid eye movement”, phase of sleep, which is known to signify dreaming. In birds the REM phase occurs for only a few seconds at a time, while humans can stay in this phase for longer spells, ranging from several minutes to an hour. However, chickens also have a phase of sleep that humans don’t, which is known as USWS, or unihemispheric slow-wave sleep. During this phase, only one half of the brain is resting while the other half remains awake. This is why you might see chickens occasionally sleeping with one eye open and one eye closed – it’s an evolutionary adaptation that allows them to stay alert to predators even when dozing. The most common way flu vaccines are made is by using an egg-based manufacturing technique. The production process involves the vaccine viruses being injected into a fertilised hen’s egg, and incubated for several days, which allows the virus to replicate. The fluid containing the virus is then harvested from the eggs, and the manufacturing process either inactivates the virus – resulting in the ‘killed’ virus used in flu jabs – or purifies it to create a weakened version of the virus which is present in a nasal spray vaccine. A female chicken can and will mate with many different males, but if she decides after mating that she doesn’t want the offspring of a particular rooster, she can choose to eject his sperm. This most often occurs when the male is lower in the pecking order, and a stronger and more suitable mate is available. The colour of a chicken’s eggshell has less to do with its health, and much more to do with its genetics. All eggs start out white in colour, and those laid in shades other than white have their pigments deposited on them as the eggs travel through the hen’s oviduct. The breed of hen will determine which colour eggs she will produce. Leghorn chickens, for example, lay white eggs, while Orpingtons lay brown eggs, and Ameraucana produce blue eggs. An Olive Egger is a chicken that lays olive green eggs. Olive Eggers are the product of a cross between a hen from a brown-egg laying breed and a rooster hatched from a blue-egg laying breed. The most common method of hypnotising a chicken is to hold its head against the ground and draw a line along the ground with a stick, starting at the beak and moving outward in front of the chicken. If this is done properly, the bird will continue to stare at the line for anywhere between 15 and 30 seconds without moving. Scientists refer to this phenomenon as a state of ‘tonic immobility’, which is a natural state of semi-paralysis some animals enter when faced with a threat. It’s thought that it originated as a defence mechanism similar to ‘playing dead’.